It is my sad duty to report that Carl Gage, Songmakers’ Webmaster, past Vice President, Assistant Editor of the Bard Chord and Kenny Grove Saturday Night Concert Emcee, passed away on March 19. Carl had been a member of Songmakers since August 1998. He was also an instrumental member of the Topanga Banjo Fiddle Contest board of directors and Vice President of that organization. Carl was a good friend to all of us. We will miss his companionship, music, joie de vivre, unbridled volunteerism and the conflagrations he called campfires. Songmakers had a celebration of Carl Gage’s life after the ice cream social during the Spring Fling at Kenney Grove on April 8, 2017. Pat Cronin gathered pictures of Carl and created a wonderful memory board. Many in attendance shared a story of an experience with Carl or performed/led a song in his memory. 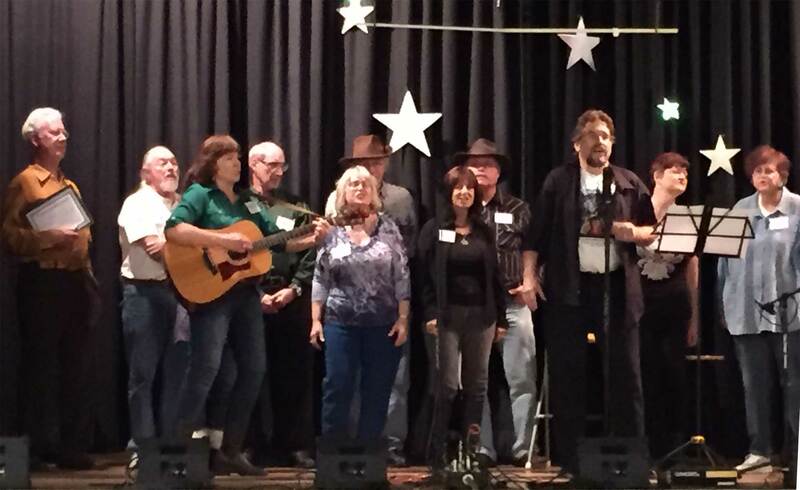 Roundup – 2015 l-r: Simon Lucas, Carl Gage, Janice Gelenscer, Dana Charette, Carol Burton, Andy Gelenscer, Sandy Lessner, Flash (Dave) Gordon, Steve Berman, Sally Charette and Barbara Greenspan. Truly shocked and deeply saddened to read that our good friend Carl Gage has passed away unexpectedly. It’s really hard to believe that it’s true, because Carl would have been the first one to contact me and let me know!! Julie and I met Carl about 20 years ago, through the music community, which is no surprise to anyone who knew him. Carl was a member of Songmakers and has been active in hoots, camping trips, weekend getaways, concerts and countless similar activities. He has been on the Topanga Banjo•Fiddle Contest Board of Directors and was a member of BASC and Folk Alliance as well. 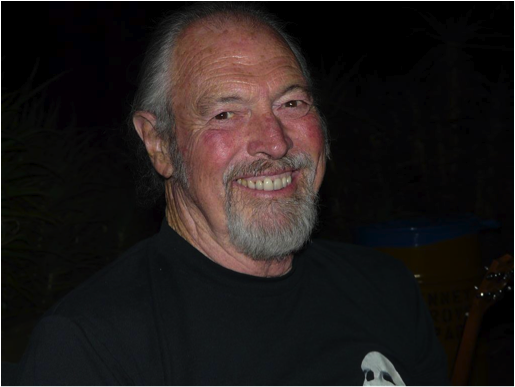 He was very active in the folk music and bluegrass communities attending hoots and jams, performing at open mics and other venues, and emceeing concerts and events including Topanga. He was quite often in the front row or two of our House Concerts. (We’ve got tons of photos of the back of his head!!) 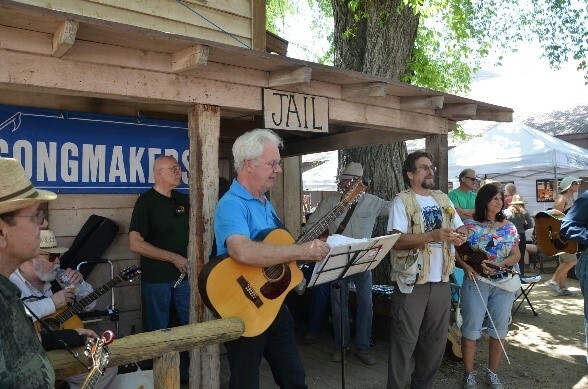 He was also active in FAR-West, volunteered at the Live Oak Music Festival and managed websites for the Topanga Banjo•Fiddle Contest, Songmakers, musicians, hobbyists and others. Carl will be truly missed by those of us who were lucky enough to know him. Rest in peace, Carl. (I’ll be waiting for a text from you telling me that it’s all a misunderstanding. I’m holding your reservations for our next house concert.) Damn. 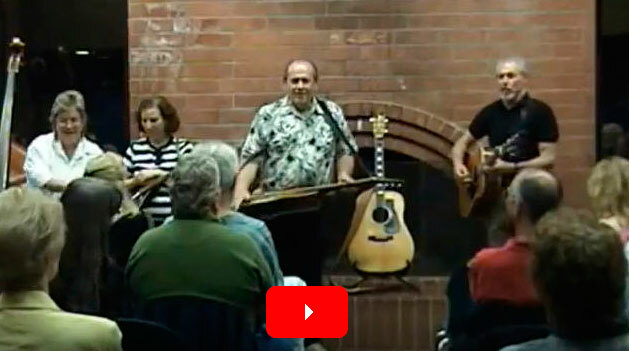 (l-r) Patty Quintana (bass), Kathy Lynch (mandolin), Gary Lynch (dobro) and Carl Gage (guitar) performing Carl’s song, Songmaker’s Heart in 2006.